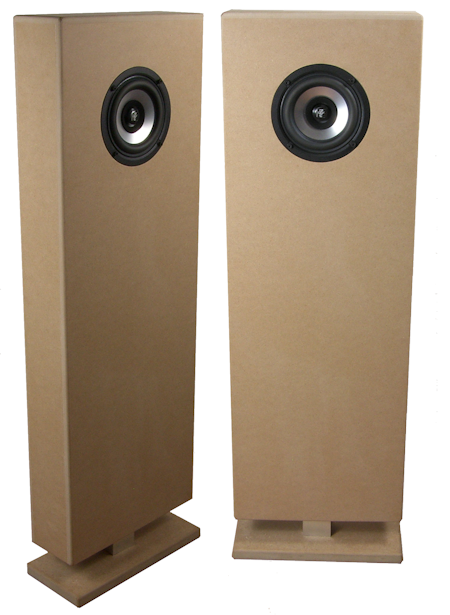 The original Jordan VTL design was adopted by many speaker manufacturers costing many thousands of pounds, so it makes sense to go down the DIY route and save yourself money. Using the new Eikona 2 gives the VTL design new life and sound fantastic. The kit comprises of 2 ready built cabinets in MDF, 1 Pair Eikona 2's, Back plate, Leads and Spacer all at the same price that other websites charge for their flat pack versions.